View example content workflows for digital projects including new websites, website redesigns and CMS re-platforming projects. 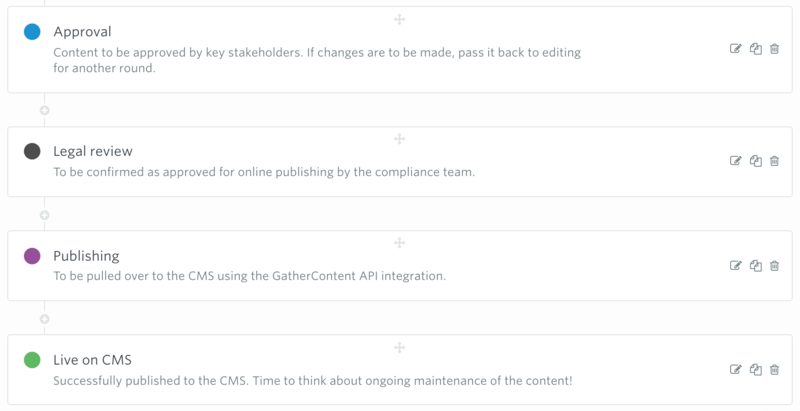 In GatherContent, workflow makes the status of your project content crystal clear. Workflow is the set of statuses that can be applied to pages to communicate their progress. Review by Marketing - You may or may not have several rounds of review that your content must pass through such as SMEs, Marketing, Legal, Compliance etc.